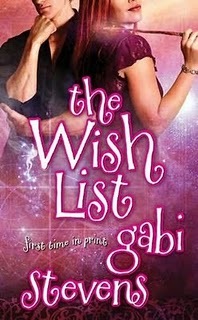 One the Tenth day of Christmas I'd So Rather Be Reading gave to Tabithia The Wish List *signed* by Gabi Stevens! Remember there will be a winner announced for the next 2 days! Our gift tomorrow is Smart Chicks Kick It signed poster! I'm really excited for tomorrow! i really want that poster! it killed me i couldn't go to Smart Chicks!